Having just received the latest WS literature (including Zing into Spring) it got me thinking whether any of the WS wines were bottled in the UK and if so whether we are told so. I notice many hastily bought New World wines in supermarkets are bottled in the UK (as are the majority of our Australian imports for instance). The fact is cleverly and minutely disguised on the wine’s back labels. 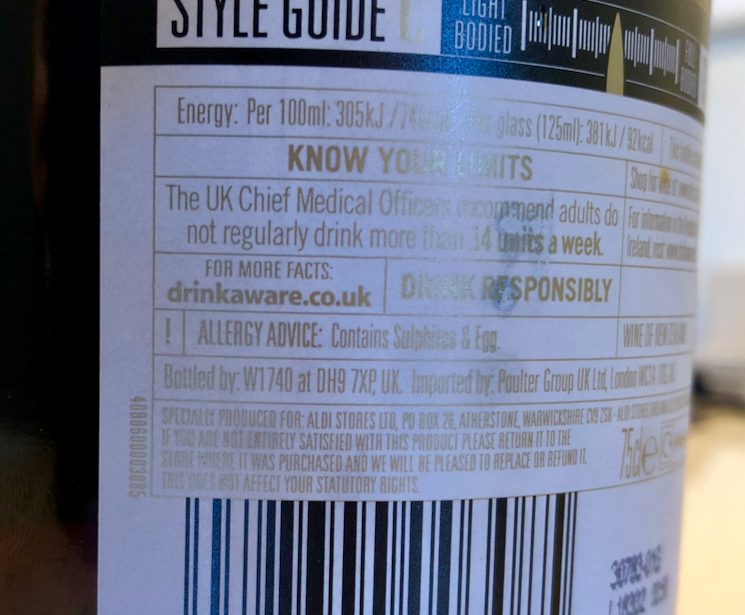 I am not quite sure what your feelings are about English or UK bottling, are you against it or just want have the information more readily available on the label. There is nothing new in UK bottling, all wine was shipped in barrels and bottled here at one time including all the great Bordeaux châteaux. There is no real downside to the type of wines that come over in balloon tankers it saves weight and therefore money and no doubt the practice will spread to any wines that have sold enough volume to be transported this way. I am for disclosure that’s all. What I don’t like are the made up names that give the impression wineries exist when they don’t. The French do it too. I suppose I’m hoping the WS wines have a firmer provenance than a tanker full of Sauvignon or Shiraz etc. I’m with @AnaGramWords . I dislike bulk shipped wines and their made up names. I have to admit that bulk shipped wines are not as bad as they were only a few years ago, when they - at best - seemed lifeless and dull, and I made it a rule not to by bulk-shipped wines. They are shipped in nylon bladders that fill a standard shipping container. They are treated with additional SO2 to stabilise them during the journey and they have to be adjusted before bottling. There are increasing amounts of bulk-shipped wine to be found at the lower price points because, as @cerberus points out, it saves money. How much of that saving is passed onto the consumer, I don’t know. A lot of the bulk-shipped made-up name wines are surplus tanks that need to be cleraed to allow for a new vintage. Bulk shipping is enormous and has its own trade fairs. Not all bulk-shipped wine on sale in the UK is bottled in the UK, much is shipped to France or Germany for bottling. By law all wines must state where they are bottled if not by the producer and they are allowed to use a code for the bottling plant, which is a letter indicating the country followed by numbers. F- for France, D-is Germany (Deutchland) and W (??) for UK. I prefer to buy a wine that left the winery as its winemaker intended. And, yes, some of the wines sold by TWS are bulkshipped. And yes, like @AnaGramWords I think it’d be nice if you could identify them on TWS website and catalogue. @cerberus correctly states there is nothing new about UK bottling. 50-60 years ago UK bottling was considered a plus, but that was before wineries in Bordeaux etc either had the facilities to bottle, or bottled hygenically. Buying from a reputable merchant who’d stored the barrel of wine in their cellar and then bottled it was a guarantee of quality. Of course wines from Ch X from one merchants could taste differently from Ch X from another merchant, not only because of barrel variation but one merchant may have storred the barrel for longer than another. Lastly - TWS started by selling wines from barrels left over from the Great Exhibition so TWS had a long (and glorious?) record of UK bottling. There was an interesting program a few years back when bulk shipping started, on BBC I think which showed the whole process, until that point I had not been aware of it. You could understand the whole ethos from the retailers point of view, Tescos in that case, shipping Malbec from Argentina, Trivento, and it has obviously escalated from there. I certainly agree that it should be stated on the label if it has been shipped that way and you do see on many supermarket wines Bottled in the UK on the back labels, I would imagine today it would be quite a shock to see how many well known names are shipped this way from Australia for instance. There is this explanation that also points out the downsides as PeterM has spoken about. IMO few people know or care, only winelovers like ourselves. There’s another issue. I have an interest in South African wine and I buy quite a lot. There’s huge unemployment there and what bulk shipping does is export jobs from there to here. Yes, the fantastic UK bottling are fully automated, but South African wineries employ a lot of people at bottling time to operate the bottlng lines to put wine in boxes, to affix the official W&SB guarantee neck seal, to drive the wine to the dockside. @peterm: … “and W (??) for UK”. Has this been used for a long time? If it’s very recent I think I could understand it! Has this been used for a long time? Back label of an Aldi NZ pinot noir. The postcode is for the Greencroft Industrial Estate, Stanley, Co Durham. Increasingly, wine is shipped to the UK vacuum-packed in huge tanks, then bottled here. But how does this affect the taste? I had one with a Bristol postcode recently - think it was also Aldi. This article by Jancis in 2014 shows how the practice has blossomed, even in 2014 8 out of ten Australian wines were sent in bulk to the UK and Chile was ahead of that, PeterMs point about the lost jobs is also highlighted. It seems as suspected there are bottling plants everywhere. 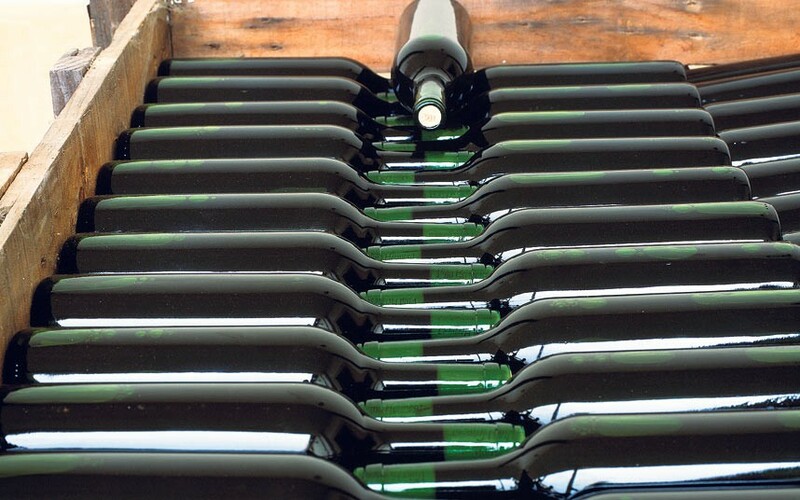 We are one of the largest and most modern contract wine bottlers in Europe. We operate 7 high tech filling lines 24 hours, 6 days a week, capable of filling over 90,000 bottles and boxes of wine an hour. One of the largest contract wine bottlers in the UK, working with some of the world’s leading wine companies. We pride ourselves on our outstanding quality and attention to detail, and are BRC Grade AA+ rated. As said above I have reservations. But I understand people whose argument is that it is better for the environment, CO2 emissions etc. But if that is such a compelling argument, why don’t such wines trumpet it on their back label rather than hide it away using codes? I would imagine the environment, emissions argument is not that big, the real saving is space, vis a vis big bag over thousands of bottles and boxes, extra capacity equals extra profits, plus pumping into a few tankers is a lot easier and again more efficient profit wise than handling boxes of bottles even in containers. On the subject of bulk transport of alcohol, someone asked me if the importers pay the going rate of import duty. I summize they do but wouldn’t be surprised if they received a discount. Anyone know? By the way, the WS have been silent on this thread so far! Maybe because it was the weekend. HMRC don’t give discount !! “In the interests of transparency will TWS clearly mark the wines they import and bottle in this country so that members can make an informed decision on whether to buy them or not”. Similarly, can they also be marked in the catalogue too. Let me ask for you now and I’ll post a response when I hear back - and just in case it helps, if you require a response from us directly it’s always best to contact Member Services as this technically isn’t a direct contact method.